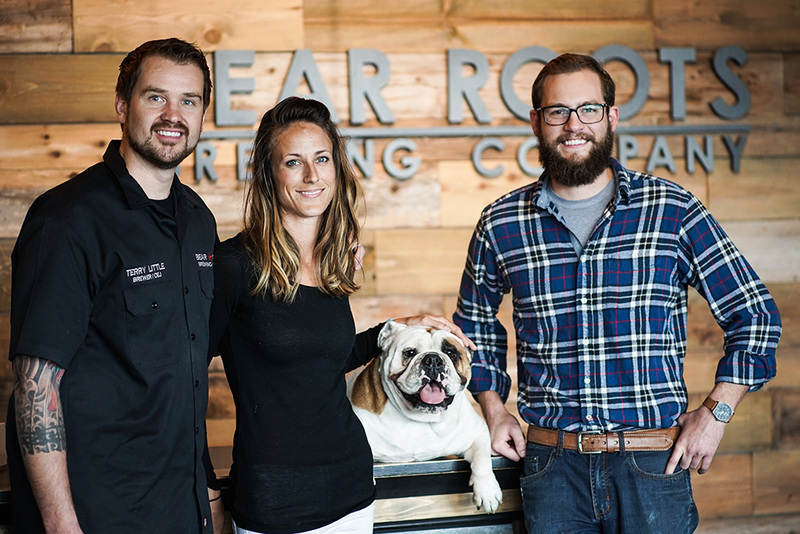 Step into Bear Roots Brewing Company and you may be greeted by Lola, one of our favorite brew dogs along the Hops Highway. Lola is an English Bulldog, and if you are lucky enough to meet this friendly and gregarious greeter, she may take you on a tour and a tasting, like she did with us when we visited Bear Roots recently. 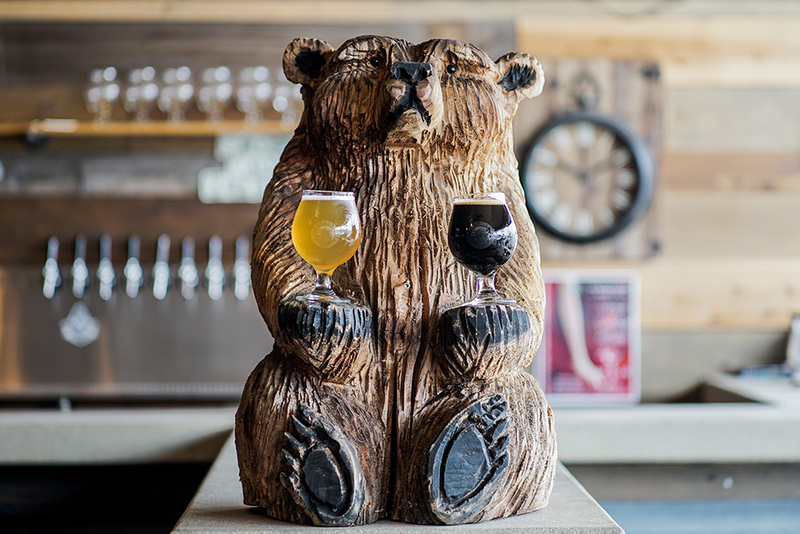 Like Lola, Bear Roots Brewing maintains a friendly, happy vibe and unique personality, though it has been described as a “three-headed beast” by founder Terry Little. That is because Bear Roots is actually three businesses operating in one place, simultaneously. One head of this beast is the Home Brew Shop, another is the nano-brewery and tasting room, and the third is the “Brew on Premise” segment of the business. 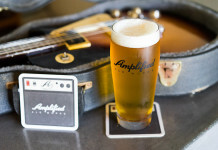 It is the “Brew on Premise” which makes Bear Roots unique from other craft breweries in the San Diego County. This combination makes for a cool craft beer hangout where people drink beer, make beer, and talk about all things craft beer. Terry Little, who works as an Operations Director in the manufacturing industry during the week, built Bear Roots from the ground up along with wife and business partner Page, her family members, and longtime friend, Nick Boling. Terry spends nights and weekends brewing one barrel (31 gallons) batches of beer for the brewery double batching into two barrel fermenters. Terry started as a home brewer, but when he realized he could turn his passion of brewing into a business that people may enjoy, he jumped at the opportunity. 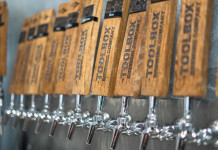 After founding the brewery in their garage, Terry and Page moved it to the current location in Vista. It is a veteran-owned/operated business where Terry is brewmaster, Page is the business manager, and Nick runs the tasting room and home brew store. 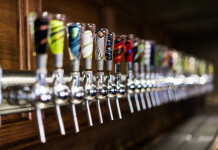 The team also has three part-time employees, including Assistant Brewer Selwynn Syquia brewing or working with them, carefully executing Bear Roots beer recipes and the community concept. 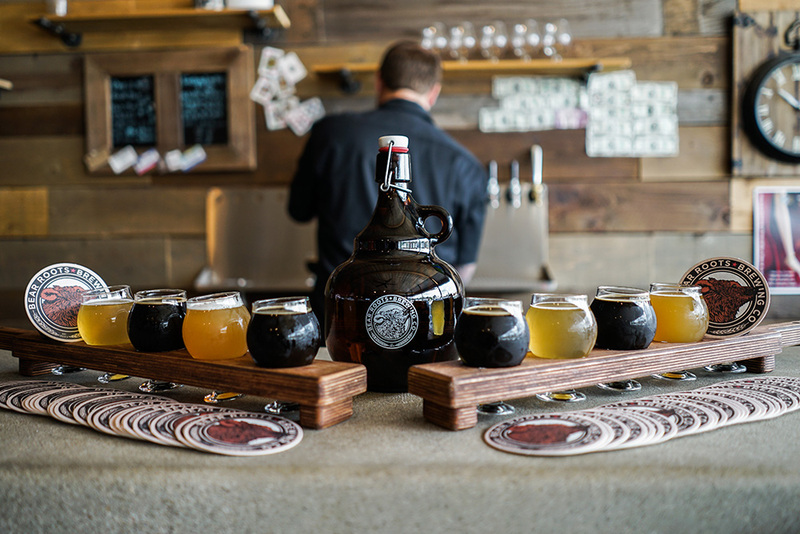 Bear Roots is the 13th brewery to open in Vista since 2002, and the only one in the county with a Brewing on Premise service. 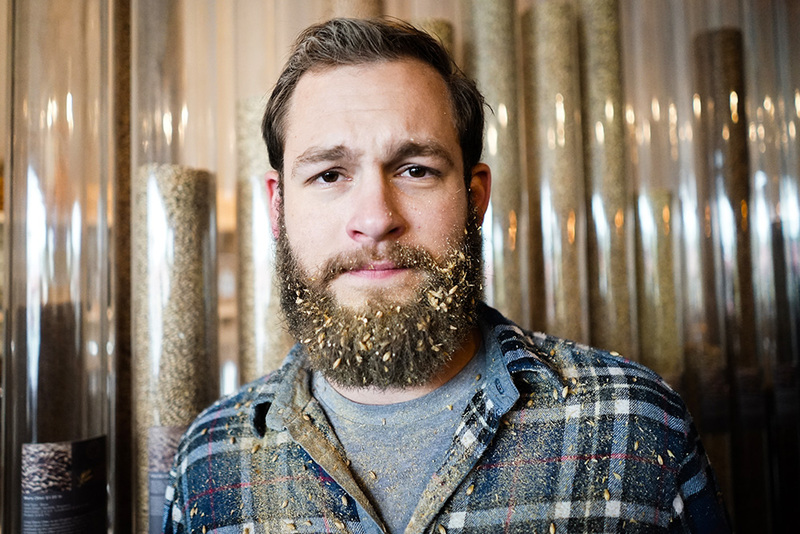 “I want to grow the home brewing community, and expand on a great market,” Terry told us during our visit. The Home Brew Shop opened in September 2015. It is a complete home brewing supply store featuring a one of a kind grain tower also known as the “Grainbow”, CO2 tank fills, a Propane tank exchange and brew water program. The shop is open seven days a week to serve home brewers and those looking to see what the buzz is all about. In addition to supporting homebrewers, Bear Roots also supports the Vista community through special events such as charity golf tournaments brew day give backs and much more. “One of our business core values is to give back before receiving,” Terry explained. 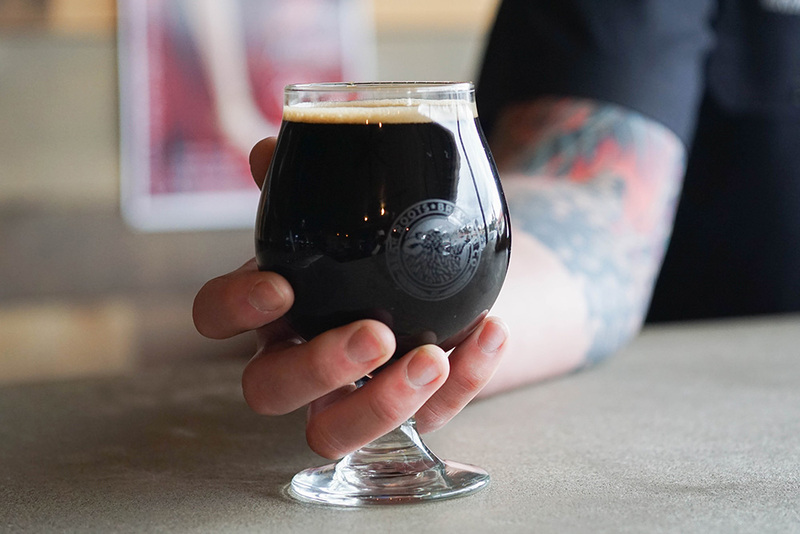 Chocolate Peanut Butter Milk Stout (5.8% ABV/30 IBU), is one of the beers that is always in demand. Also known as “The Bear Cookie,” named by Page and Terry’s 3 year old son Luke, it is one of the brewery’s more popular brews. Pitch black in color and opaque, it has a feathery tan head. Its aroma is delicate, reminiscent of roasted coffee beans, chocolate, and root beer. Texture is silky smooth, nicely carbonated, and the flavor profile is complex: mocha, vanilla, peanut butter, chocolate, sweet. It has a clean, crisp, mildly bitter finish. Made with barley, oats, nobel hops, raw cocoa nibs, and peanut butter boom, this beer is well-balanced and delicious. No wonder it is so popular. Rooted In Nelson IPA (6.8% ABV/95 IBU) is also a best seller at Bear Roots. Light yellow gold in color, it is hazy with a frothy white foam head. Aroma is citrusy, piney, and bready. The juicy taste is much like that of its aroma profile, with a hint of tangy tangerine. It is a medium-bodied beer with sparkling carbonation and a crisp, clean finish. 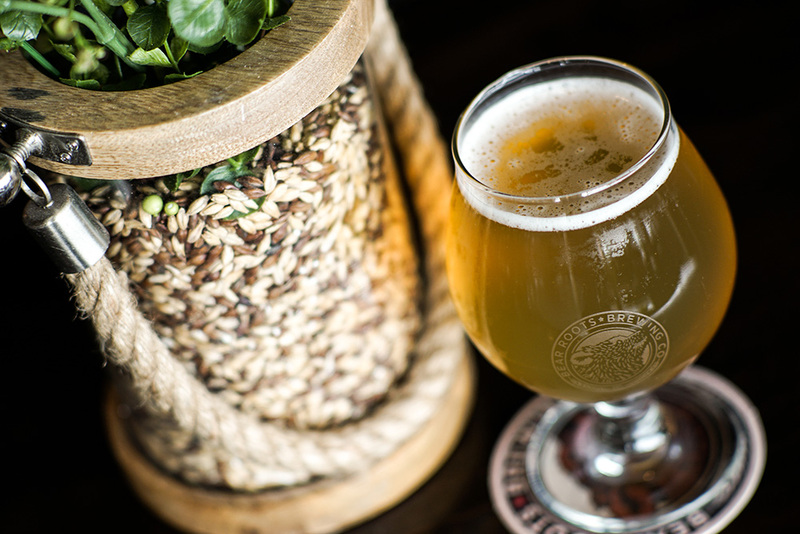 Brewed with American 2-row, Maris Otter varietal barley malt and Nelson Sauvin hops, Rooted In Nelson is representative of a true American IPA. During our visit to Bear Roots we also sampled their “Bite The Bulleit” Triple Belgian (12.6% ABV). This beer is gold in color, hazy, with a dense white head. Its aroma and flavors are fruity, spicy, bourbony, and sweet. It has a light body and clean, bitter finish. We like to drink Belgian Abbey-style Tripels, and this is a good one. Like other well-crafted Tripels, Bite The Bulleit hides its high alcohol characteristic, so we suggest sipping it. 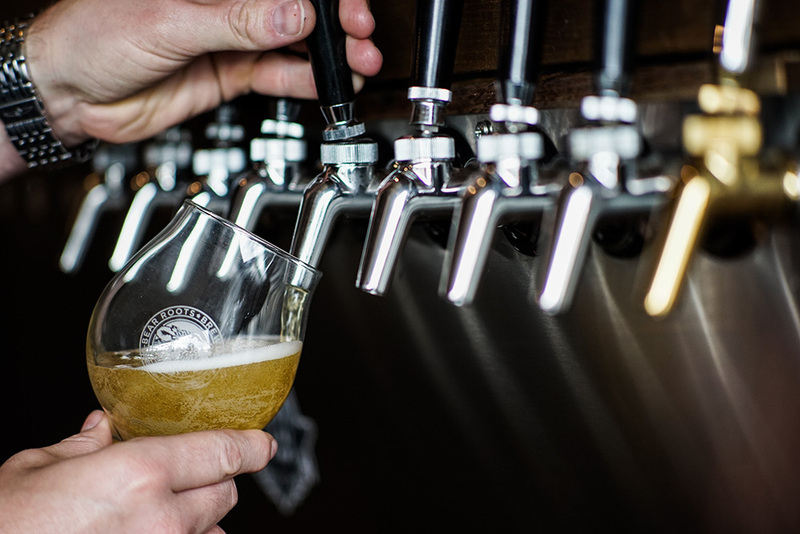 Good beer is nothing new along the Hops Highway. 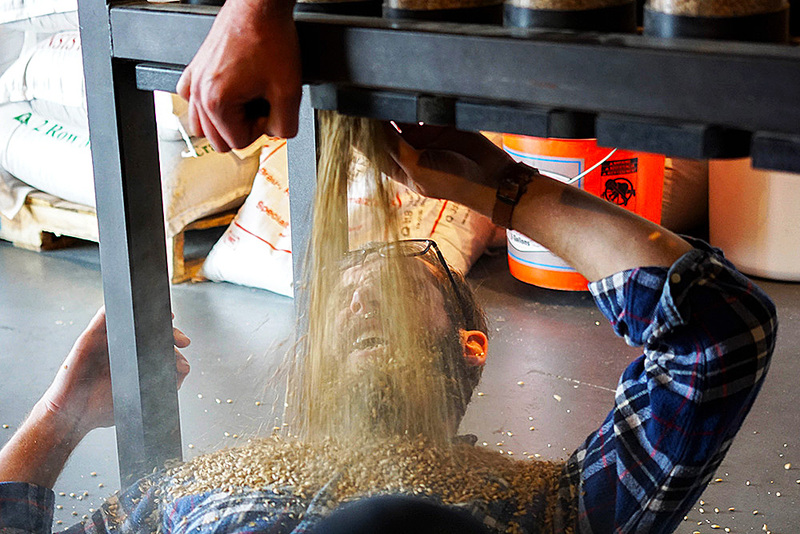 The brewery favorites along its windiness are all striving to produce beer that is relevant. Terry and Page Little have watched the independent brewing phenomenon in San Diego County evolve, and now have made their place in it. 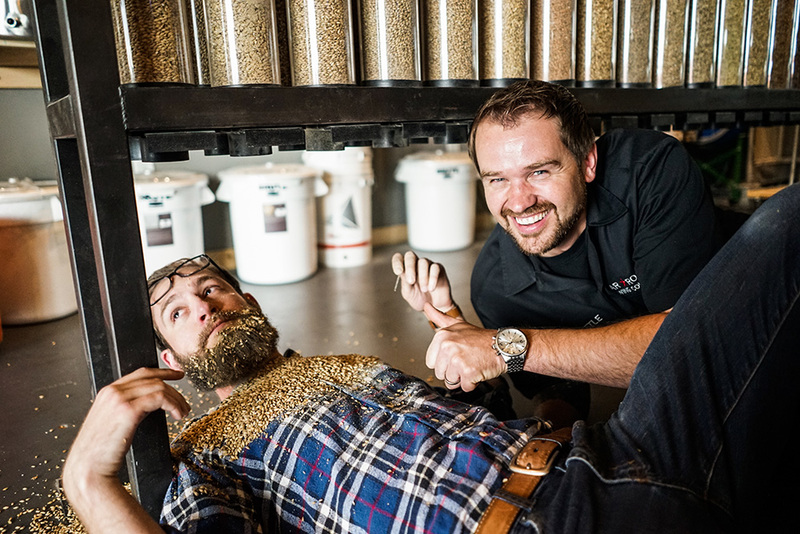 What makes Bear Roots different from the rest, however, is their commitment to serving the home brewer, growing the beer loving community, and preparing the next wave of small batch brewers through their Brewing on Premise program. As such, it is clear to see Bear Roots Brewing Company is beloved by the community it serves.